CHICAGO (WLS) -- A model of an iconic piece of Wisconsin has been made of legos. 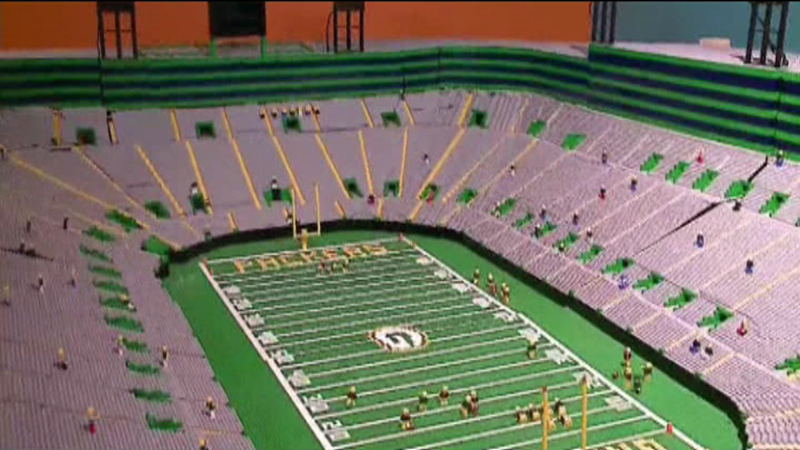 A scale replica of famed Lambeau Field is now on display at Green Bay's Neville Public Museum. The 15-by-13-foot model is made of more than 130,000 lego bricks. The model is an accurate portrayal, except for the lines outside the restrooms.